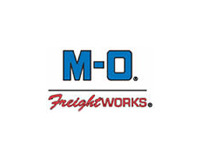 Established in 1962, Maritime-Ontario Freight Lines Limited (M-O®) has many years of experience in transportation of LTL (less than truckload) and truckload freight between Ontario, Quebec as well as eastern and Western Canada. M-O is leading the way to more efficient, consistent and innovative method of transporting freight. Serving an active client base of more than 5,000, M-O has a solid reputation and is the recipient of numerous awards, including Canada’s 50 Best Managed Companies and The Ontario Chamber of Commerce Outstanding Business Achievement awards. Maritime-Ontario Freight Lines Limited is an Official Sponsor of MADD Canada’s Campaign 911.